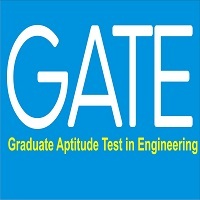 GATE is conducted by IISc & IITs on a rotation basis to provide admission in postgraduate engineering & PhD programme. Most probably GATE Admit Card 2019 will be released in the month of January 2019. Admit Card includes the description of the candidate like name, DOB, date& timings of the examination, exam venue etc. Applicants have to bring the printed GATE Admit Card 2019 along with one identity proof- Voter ID, PAN Card, Aadhaar UID, Passport, Valid College ID, Driving License or Employee identification card. 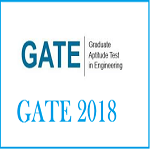 The article below is giving all the important details about GATE Admit Card 2019 like Important Dates, Steps to download, and details in the Admit Card, Exam Pattern, Syllabus, and Important Instructions. Read the article carefully and follow the exam rules. Admit card can be downloadable from the GOAPS website. It will not be sent via email/post. The successfully registered candidates will be able to download the GATE 2019 admit card on 5th January 2019. Students also need to bring one identification proof with the printed copy of admit card, to the examination hall. Visit the official portal to download the Gate Admit Card 2019. Click on Admit Card/Hall Ticket link on log in. Download it and take the print out of the admit card and keep it safely. Marking Scheme for 1-mark MCQs 1/3 mark will be deducted for every incorrect attempt. Marking Scheme for questions that aren’t attempted Zero marks will be awarded. Negative Marking Scheme There is no negative marking for numerical answer type (NAT) questions. It is known that GATE is held for 23 papers. Syllabus for each discipline is different. For an effective preparation, it is important to know each and every topic from where the questions will be asked. It is hard to describe the complete syllabus of GATE in few lines. However, the students can download the official PDF of GATE 2019 syllabus for PE, PH, PI, CE, CH, CS, CY, EC, EE, EY, AE, AG, AR, BT, XE, GG, IN, MA, ME, MN, MT, TF and XL. It is important to take admit card while going for examination. Admit card will be necessary throughout the process. Candidates can check their GATE Admit Card 2018 from Zonal GATE website. GATE Admit Card 2018 will not be sent through Post or email. You can appear the exam any number of times. Applicants can download their Admit Card by entering the candidate registration no. and DOB on to the official link.